1- Log in your secure client area. 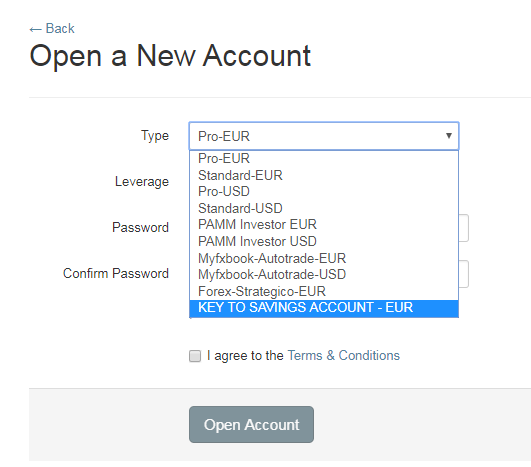 3- Select “Key To Saving Account” on the drop down menu. 4- Type and confirm your desired password (8-10 digits, mix of lower/upper caps and numbers).